Honor 9 Lite has now arrived in a new 'Glacier Grey' colour Variant and will go on sale from 12pm IST on February 6 from Flipkart. 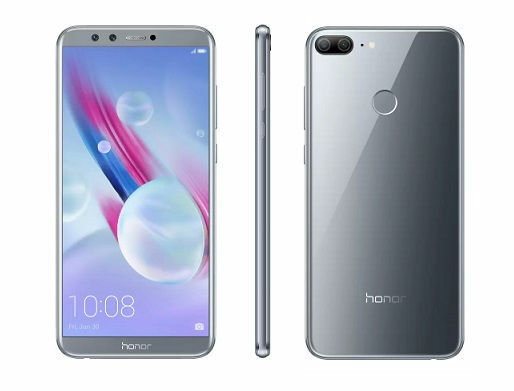 The smartphone was launched last month under the Huawei's Honor brand and initially available in Midnight Black and Sapphire Blue colour variants. The Honor 9 Lite is a mid-range Android smartphone and comes in two models; 3GB RAM/ 32GB storage variant priced at Rs. 10,999, and 4GB RAM/ 64GB storage variant priced at Rs. 14,999. It features a 5.65-inch full-HD+ (1080x2160 pixels) IPS screen and runs on Android 8.0 Oreo with company's EMUI 8.0 on top. Under the hood, there is an octa-core Huawei HiSilicon Kiri 659 processor, houses a dual camera setup at the rear as well as on the front. The rear camera is 13-megapixel, while the front is 2-megapixel imaging sensor. The smartphone sports a hybrid dual-SIM configuration and supports expandable storage up to 256GB via microSD card. It is also equipped with 4G VoLTE connectivity, Wi-Fi 802.11 b/g/n, Bluetooth, GPS/ A-GPS, Micro-USB with OTG support, and a 3.5mm headphone jack. There is a 3000mAh battery. Honor registered a 3X growth in Q4 of 2017 as compared to Q4 of 2016 owing to our best seller devices and we are confident to continue to momentum with best in class products like Honor 9 Lite. With this grey variant in the market, we hope to not only expand the Honor 9 Lite portfolio but also continue the winning streak."